Mike Agugliaro, founder of CEO Warrior. As co-owner of the more than $24 million dollar residential service business, Gold Medal Service, and founder of business coaching business CEO Warrior, Mike Agugliaro is calling on entrepreneurs and business owners for a chance to receive the popular Nine Pillars of Business Mastery package with insight and action plans for his proven methodologies. Each entry will gain webinar access to Business Game Changers: Top 5 Secret Strategies for Massive Growth in Your Service Business. With a revised leadership strategy, Agugliaro grew a less than $1 million business into a more than $24 million home service empire with 150 employees serving more than 100,000 customers in New Jersey. He has since launched CEO Warrior, authored three books, published Home ServiceMAX magazine, and hosts a weekly podcast series, teleseminars and regular coaching events. “Through the struggles endured building my own business, I’m dedicated to sharing key principles about business strategy and planning, communication, leadership and customer service that will help other CEOs take their businesses to the next level,” said Agugliaro. 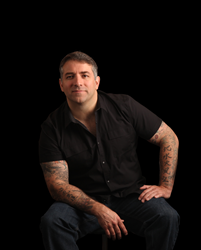 Enter Mike Agugliaro’s CEO Warrior challenge at http://www.CEOWARRIORCONTEST.com Each month a comprehensive success package will be awarded and each entry will have access to Agugliaro’s exclusive webinar with strategies for massive growth. CEO Warrior is a business consulting and mentoring firm, providing tested and proven methods to defeat the roadblocks that prevent small to mid-sized businesses from achieving their ultimate success. Mike Agugliaro, “Business Warrior” and founder of CEO Warrior, has played a key role in building Gold Medal Services’ success, as co-owner of the company. In the last 10 years, Mike’s business-growing acumen took the company from a business making less than $1 million a year, to making more than $24 million a year. By performing a meticulous business audit, CEO Warrior targets the specific areas each business needs to address, eliminate, enhance or add in order to reach their business goals and attain what every business owner wants in the end: financial independence. For more information about CEO Warrior, visit http://www.CEOWARRIOR.com.